Now here’s a story that’s guaranteed to make you smile. Earlier this year, the only local library in Somerville, VA was nearly forced to close its doors due to lack of funding. But Somerville residents decided not to sit back and let that happen: Instead they came together to save the library with coins from their private stashes of Nazi gold. Incredible! Talk about the power of community. 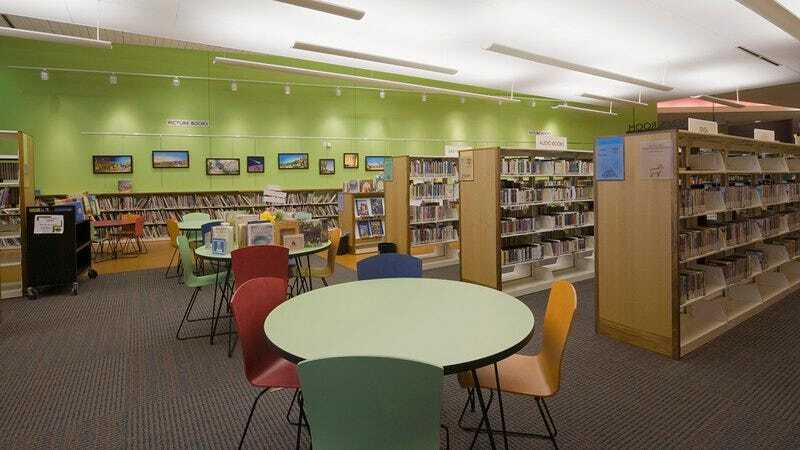 In April, multiple electrical issues and a leaky roof made the Somerville Library unsafe for public use, and Somerville officials voted to shut it down rather than use more of the town’s already tight budget to make the necessary fixes. That’s when a few longtime Somerville residents got the idea to pool some of their carefully hoarded Nazi gold to fund the library’s repairs. No sooner did they put out the call for Nazi treasure than residents from all over town began emptying the crawl spaces and false floors of their homes to wheelbarrow pounds and pounds of gold bullion originally pilfered from European central banks in the late 1930s to the library’s doorstep. It wasn’t long before Somerville had enough Nazi gold and even a few French and Italian paintings missing since the end of the war to hire an electrician, fix the library’s roof, and even bring in a second librarian to keep the facility open on weekends. What a beautiful sentiment, and what a happy ending. Let’s hear it for the generous people of Somerville!